We have two older dogs. We've had them ten years and they know our routine. They sleep until my son gets up around 7:30am to feed them. This works perfectly for me by allowing me to get ready for my day then sit and have my quiet time. A few weeks ago my son adopted a three month old puppy. The cutest little thing ever! This puppy, cute as he is, does not care about my routine or my quiet time. Clear from the opposite end of the house, when he hears my feet hit the floor in the morning, he's wide awake and in desperate need of attention. The longer I leave him in that kennel in hopes of him staying there until my son wakes, the louder his whines get...and the bigger mess he leaves. I am left with two options: leave him there where he will interrupt my quiet time with pitiful whimpers. Or, let him out and feed him. I've been doing the latter. Sounds easy enough right? I could easily be frustrated. I could give up on my quiet time. Instead, I choose to flex and flow. I choose to be flexible and just go with the flow. Pat his head, move him for the tenth time, giggle at his energy, and pry my pen away. This season of puppy raising feels much like those years in early motherhood. Those days of having to adjust my regular routine. To adapt to my current situation. To be determined to not give up no matter how challenging it might be. If you have to adjust your time of day, do it! If you have to change your location, do it! What's important isn't the time or location. What's important is that you just spend time with God! It can be in the morning on the couch, at lunch in your car, in the afternoon on the porch, at bedtime in bed. Whatever it is, just be with God. Friend, whether you are raising little ones, working way too many hours, caring for an elderly parent, or training a rambunctious puppy, don't give up! Flex and flow. It is all going to be okay. 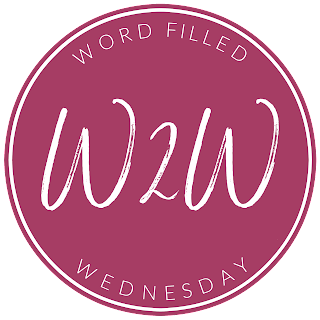 *Please read below as our Woman to Woman Word Filled Wednesday Link Up has changed. The link up service we previously used now places ads on the link up. Some of the ads do not follow with our faith and we felt it was inappropriate. In order to remove the ads, we must pay and as a ministry with no income, we are not able to do that. So we are changing our link up! 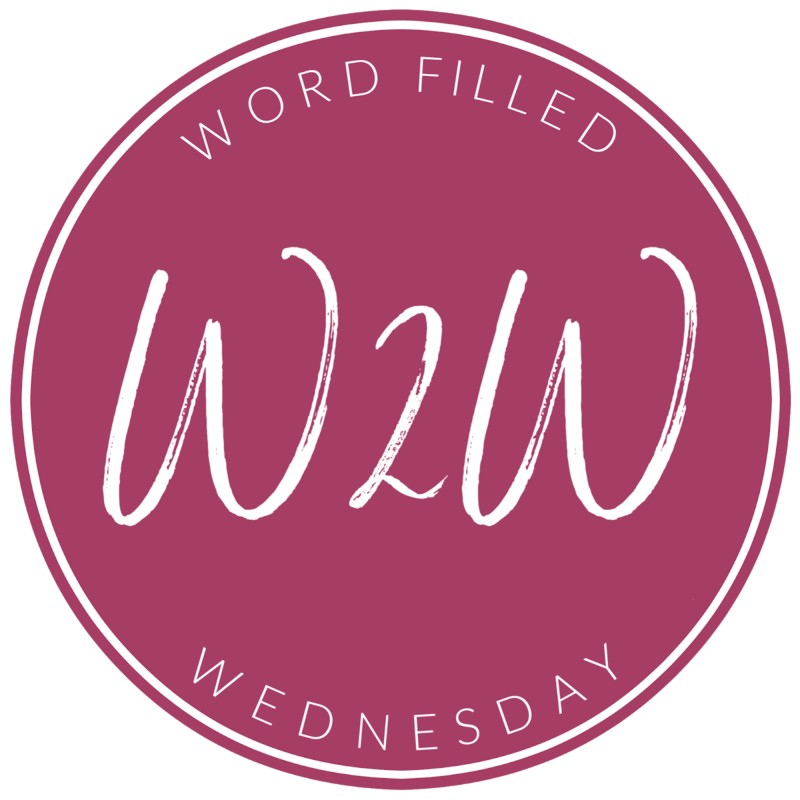 Each Wednesday we'd like to invite you to leave a link to your latest blog post in the comments. We still desire to connect women of God with one another and encourage each other in Christ. So grab a cup of coffee or glass of sweet tea, sit back and visit a few blogs. Be encouraged and share your own stories. What a great idea to circumvent a problem that seems to be everywhere! 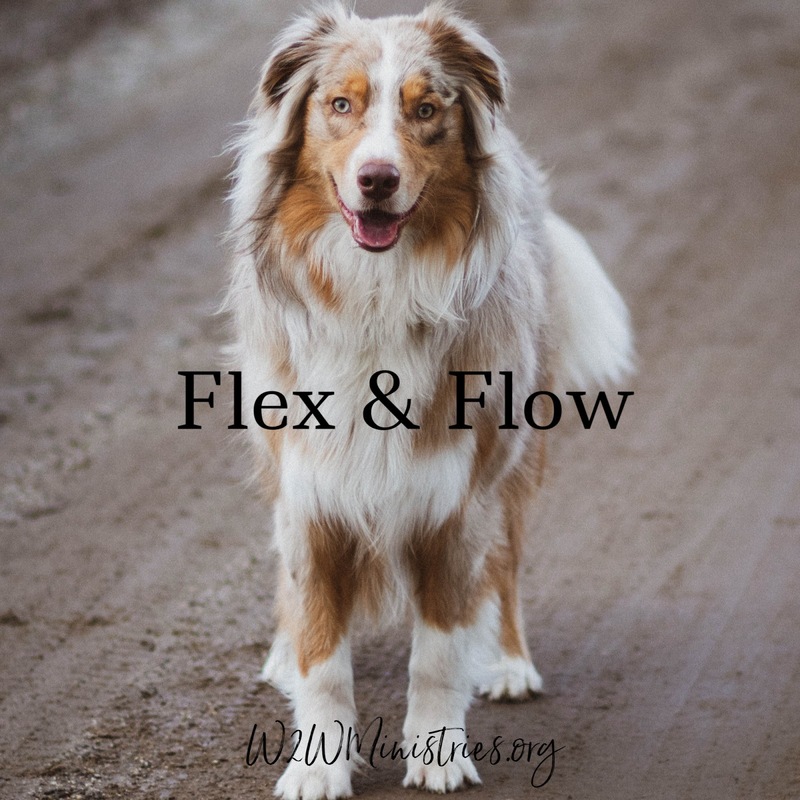 Such a good suggestion - flex and flow - the way to maintain a consistent devotional time. Flex and flow is the way to go. Yvonne, I love your rhyme! ;) Flex and flow is the way to go! Thank you for sharing your link! Here is my link to "When Hope Feels Dangerous"
Yes - I remember those days of having very young children. My time with the Lord just couldn't work like it did when in college or single or newly married. But learning to flex and flow, as you put it, is a great help. It's often a challenge, but it's a worthy one. My post this week is a tribute to my mother-in-law, who recently passed away: https://barbarah.wordpress.com/2019/02/04/a-tribute-to-my-mother-in-law/. Such a cute puppy! May the Lord bless! Oh My goodness, he is too cute! I love how you talk about flex and flow. I am very routined especially while my kids are in school. Lately, though, my routine has been very off. We are remodeling and their is no quiet place in the house. Not to mention the many times I get called away from my desk to look at something or go pick something up. I reallly need to take your flex and flow advice, lol. Thank you so much for sharing. Sorry I just saw about the Link Up. My latest post is about submission, and I would love it if you would check it out.